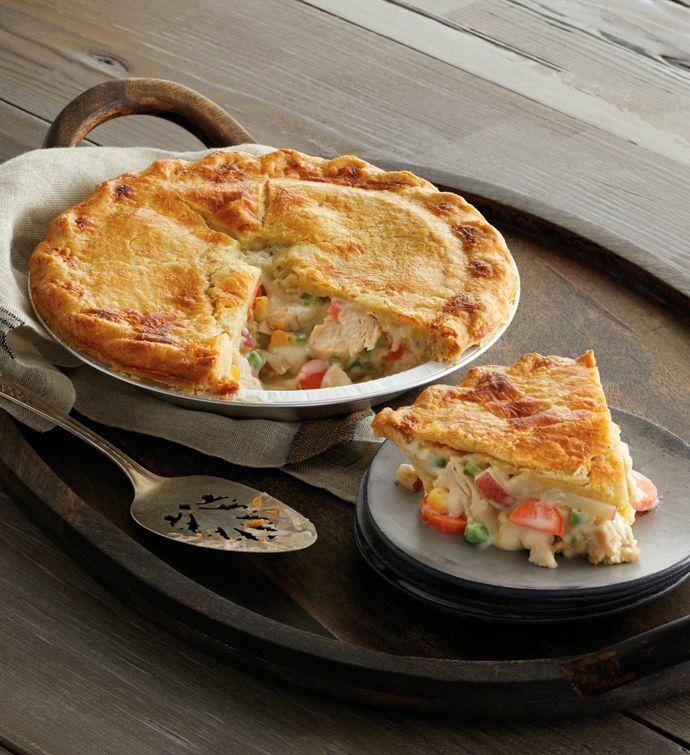 Chicken Pot Pie is an irresistible classic that's graced the dinner table for generations. With flaky, hand-crimped pastry crust enclosing moist, tender white meat chicken and flavorful vegetables such as carrots, peas, potatoes, and sautéed onions, this entrée is sure to please even the most pugnacious of palates. This dish serves six, enough for the full family to enjoy.